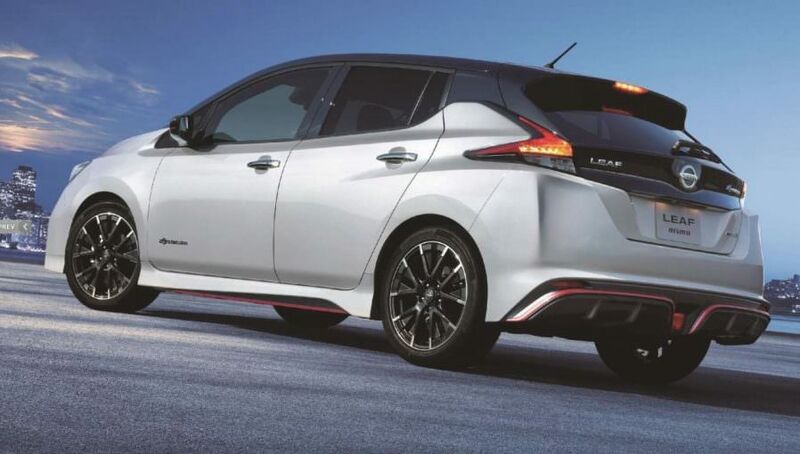 As glad as I am to see Nissan expanding their Nismo trim, I feel like its kind of redundant on the Leaf. This is anything but a performance car, and imo it's just watering down their performance line. I felt that they dropped the ball here. Its an EV with NISMO upgrades similar to any NISMO product. Even just having NISMO aero wheel covers would have been great. It wont be for everyone, especially depending on how Nissan chooses to price it. Though I do think all of the aesthetic tweaks do work to make the Leaf look much more sporty. I wonder if the new engine tune will come with any changes to it's overall range. Increased off the line performance is never a good thing for range and I doubt Nissan is willing to put in the time/money to invest more money into a micro-niche product. It just doesn't make financial sense. If this was an electric NISMO GT-R...different story. It's an odd choice of vehicle for a performance trim, when that's already one area that the Leaf is lacking. I don't know if they have made any mention of what size battery pack its using either. Luckily it's going to be exclusive to Japan, as I doubt this variant would sell in NA. Sorry Nissan, but you aren't Tesla. 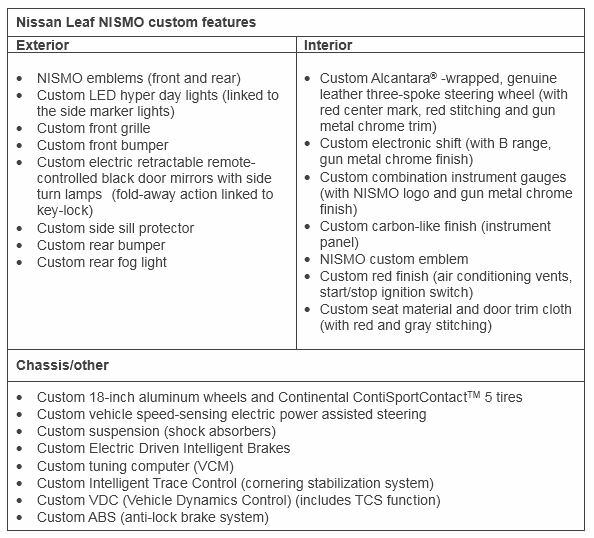 It probably would have made more sense for them to just offer Nismo cosmetic accessories for the Leaf, rather than investing into a full on trim. But with how many Leaf's are selling, they probably saw an opportunity to offer an ever higher end model. And if its dropping by the end of this month, then it must be using the standard 40kWh pack. I just figured as price point is one of the main selling points for the Leaf, that there wouldn't be a lot of interest in any higher end models. Suppose we'll see over the next month on how much interest there is for this is Japan. With inner city commuting, the slight hit to range probably wont be as big of a factor. Japan also has an incredible electric infrastructure, so range anxiety isn't really a factor there. I think at the moment there are something like 450 different EV companies over there. And I've seen recently that a couple are already making their way stateside. I was pretty surprised when I heard about this variant, as I would have never anticipated interest in a racing model. I'm not sure why Nissan would go the route of offering something that is likely to have even less range, considering they are already a bit behind competitors.